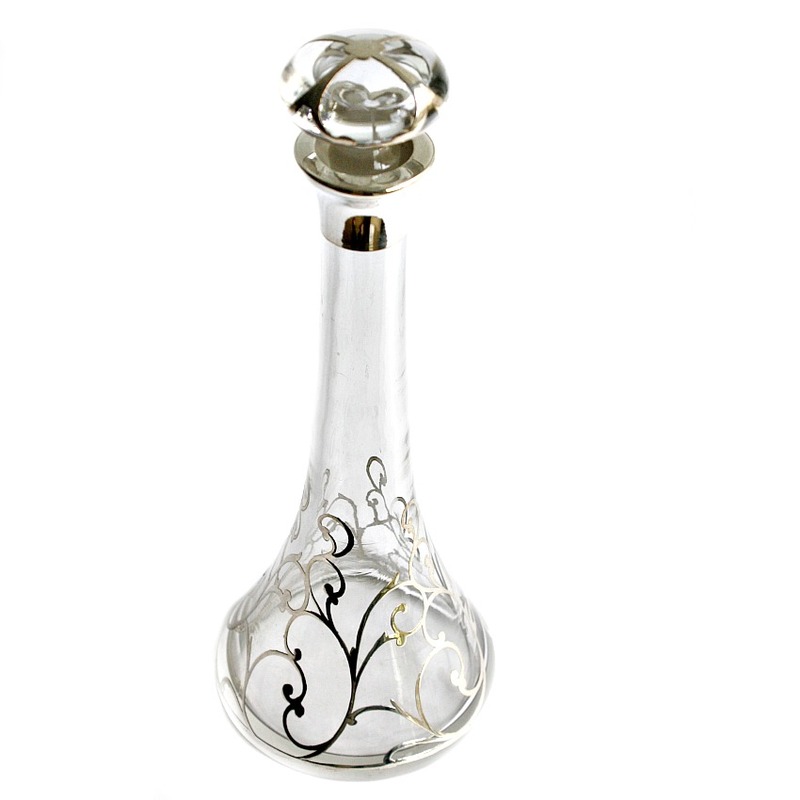 Exceptional Art Nouveau Sterling Silver Overlay Perfume Bottle, in a gorgeous elegant tall design, this is such a delightful find! Beautifully decorative with silver in a scrolling pattern, the flat ball stopper has silver overlay too. From a collector of only the finest vanity pieces, this is a luxury statement piece for your French dressing table, and an heirloom investment for your collection. The dauber does have a flake, from that time when the regular lady's maid was on vacation and young Penelope had to attend to milady. A stunner, decorative as well as useful. Impressive!